ONRAD Announces Turnkey Radiology Peer Review Program - ONRAD, Inc.
ONRAD, Inc., a leading radiology services provider, is now expanding the scope of its quality assurance program to include a complete Turnkey Radiology Peer Review Solution for hospitals. Radiology departments of any size could benefit from ONRAD’s Quality Assurance Program, including small hospitals that do not currently have an established program, or larger hospitals that want to utilize ONRAD’s independent third-party system.  As a Joint Commission Accredited facility, customers can trust that ONRAD adheres to the strictest quality standards. “Delivering quality interpretations is extremely important to our physician group,” said Dr. Alix Vincent, CEO, ONRAD Medical Group, and member of ONRAD Quality Assurance Committee, a group chaired by Dr. Samuel Salen, Chairman, ONRAD, Inc. To ensure a rich clinical knowledge base, the other five committee seats rotate on a yearly basis. “The goal for the Committee is to make sure that all of our radiologists continue to learn and expand their clinical expertise,” said Dr. Vincent of the group’s commitment to continuing education. For Turnkey Solution customers, a random sample of reports will be reviewed by the Quality Assurance Committee on a quarterly basis. After an internal evaluation of the physician group performance and individual physician quality, the results will be reviewed by the hospital’s Quality Assurance Committee via physician-to-physician communication. Potential issues will be handled directly by ONRAD physicians in a proactive manner. As a provider of services to such a large, diverse customer base, ONRAD is uniquely positioned to receive a wide variety of challenging cases. Difficult diagnoses, unusual findings, or potential teaching files are distributed to the physician group as a tool for learning. ONRAD’s new Turnkey Radiology Peer Review Solution will help customers provide the best radiology and teleradiology services. Find out how ONRAD can increase profitability and improve patient care at your hospital or practice by visiting onradinc.flywheelsites.com today. ONRAD is a full service radiology provider offering customized radiology services including teleradiology services and solutions, on-site radiology, subspecialty teleradiology interpretations, and quality assurance programs. As a partner, ONRAD helps its customers be more competitive in their local markets by complementing and expanding the radiology services already in place, or providing a comprehensive solution.